Originally founded in 2002, RiDisc has grown to be a major brand in the European market. 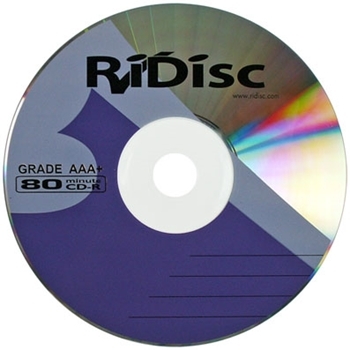 Their AAA+ grade performance optical dyes ensure the most compatible and most reliable data storage for you.The RiDisc range includes such goodies as mini 8cm DVD-RW discs. These are suitable for use in camcorders and other portable devices. 8cm recordable DVDs are also compatible with ordinary full-size drives (except slot loaders). Or try DVD-RAM discs.